A Complete Guide to Understanding your Credit Score & What Different Ranges Mean? It is quite important to learn the meaning behind your credit score before moving on to understanding how it is used. A credit score or a FICO score is basically calculated from a formula whose values are derived from your credit report. The FICO score is given out by the Fair Isaac Corporation and it ranged from 300 (lowest) to 850 (highest). This score is everything that would become the basis of determining what interest rate you will get on your car loan or mortgage, whether you will be approved to get a credit card, or you may rent a house or not. It is pointless to say, it is of utmost importance. 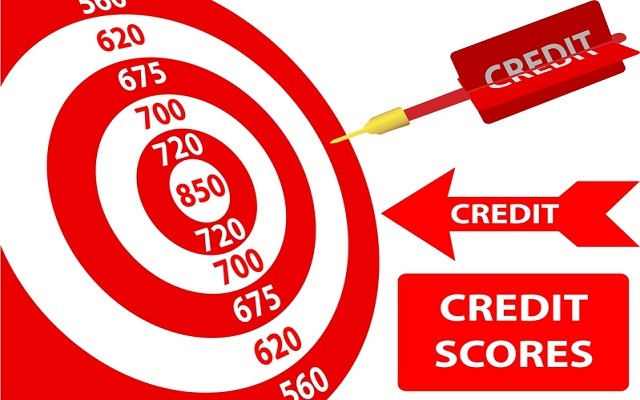 Despite its high importance, these credit scores are usually misunderstood. Read through the rest of the article to learn more regarding your credit score range, ways to achieve a better score and what should be done once you have attained it. Your credit score is calculated based on the Fair Isaac formula that used different factors like payment history, the amount of time you have had your credit lines open, and if you are late or not on any of your accounts. Here is a brief breakdown of your credit score based on the explanation provided by Fair Isaac. • 35% Dependency – your payment history that included late payments and delinquencies. • 30% Dependency – the amount you owe and the ratio of your debt utilization, which is the amount you owe in comparison to your credit limit. • 10% Dependency – on your new credit, a category that includes recent inquiries on your credit score, new opened accounts, and any bad credit history but you are working on it to return. • 10% Dependency – kinds of credit you use which include credit card debt, any student loan debt etc. This is just a brief explanation; however you can also find much detailed credit score calculation breakdown here. You are entitled to get just one credit report every year, but this won’t have your credit score. To check what is your FICO score and that too for free, you have to do some working. You may use any of the credit reporting sites that include TransUnion having a monthly fee of $19.95 and a grace period of 7 days or go for GoFreeCredit.com having $16.95 monthly fee and 30 days grace period. You can just sign up at these websites and then cancel your membership before the grace period comes to an end to avoid the monthly charges. You may opt for paying the fee; in that case the agencies would monitor your credit score for the changes. But since you are entitled to getting one free report every year, why not avoid this extra expense? After reading through all these score ranges the crux is that the good spending won’t go un-rewarded and bad ones will be penalized. It’s this simple! What Is The Meaning Of Different Ranges of Credit Score? A credit score in this range certainly puts you in a bad credit type. You might find it hard to acquire a credit card, or if you manage to get one, you will need to pay high interest rates or card fee. You may focus on re-making your score, perhaps with the help of a secured credit card (such cards are quite easy to get qualified for – normally, if you manage to do the upfront deposit, you will be approved) and establish a strong credit history there. Normally, if you have your score falling within this range, you will be aware of it. If you had missed a number of payments, been declared bankrupt recently, or still have to make a credit history, you will see yourself having quite a low credit score record. If you have a credit score within this range, you have some poor credit. You may be able to get qualified for a credit card that is unsecured; however it wouldn’t be a good high-limit credit card with lots of perks and rewards. If you come under this range, you must concentrate on raising the credit score. Work on establishing a good payment history, and do not apply for lots of credit cards simultaneously. Even though it may look supportive to increase the accounts open and enhance your overall limit, too much inquiries in your credit history in small span of time, and lots of newly opened accounts may negatively impact your credit score. Go for a credit card with fair credit if you fall within this range. You are safely out of the bad range, but there is still a long way to go. Have a look at the types of debt you owe. There are some good debts like student loans and mortgages that show that you are capable of taking loan and paying it back in a specific time, and bad debts like a lot of credit card debt that shows you cannot be trusted. Always keep the debt utilization ratio lowest and do not borrow a lot. Keep making consistent payments of the taken debts, and do not close your old accounts until you are paying unreasonable annual fee. If you fall withinthis credit score range, you have got some good credit. Keep it up! Now you would be eligible for most of the credit cards having quite less interest rates, and you can enjoy the advantages of your responsible card usage. At this point, you may go for some credit card with rewards that offer discounts or bonus on the regular purchases. Alternatively, if you frequently carry a balance every month, go for a low interest card that will help in lowering your interest payments and help you in saving more in the longer run compared to a rewards credit card that has normally a high APR. This is the best credit score range anyone can achieve and if you fall within this range then you deserve a salute! You can now have the lowest possible interest rates with highest credit card limits, along with some great rewards to offer. At this point, the major thing to be considered is the selection of credit card offering amazing benefits. All these cards need fraud protection; however the top premium cards provide benefits like lounge access, concierge service, lost baggage, etc.